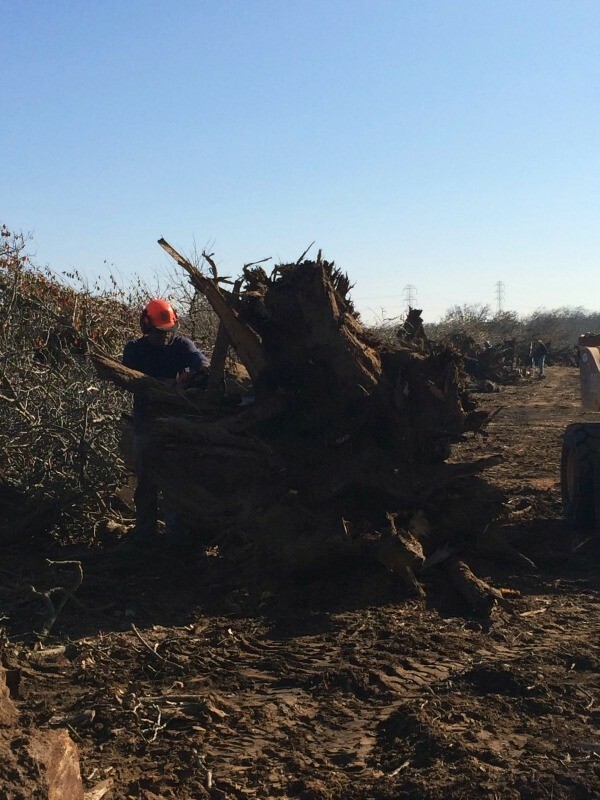 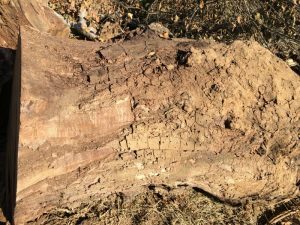 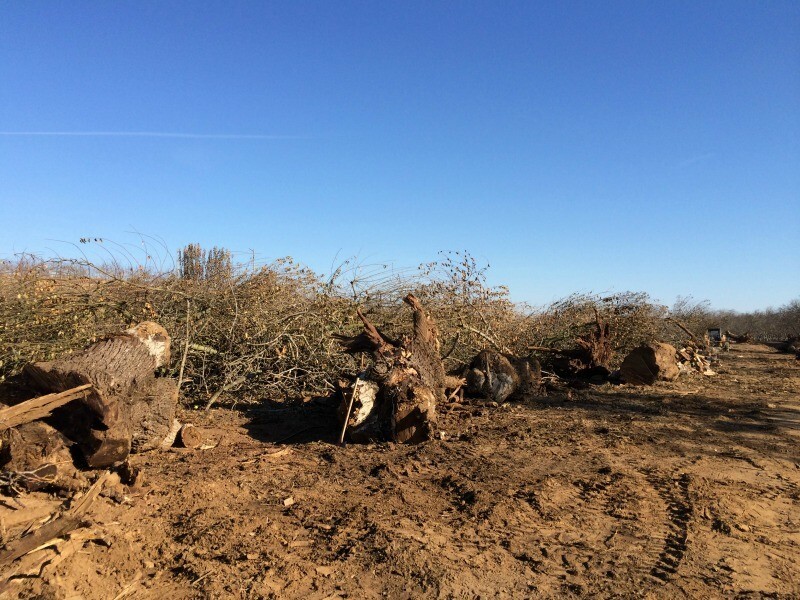 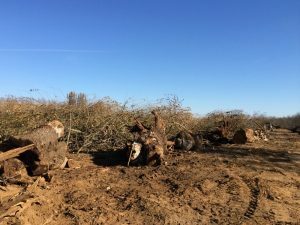 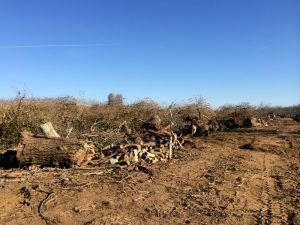 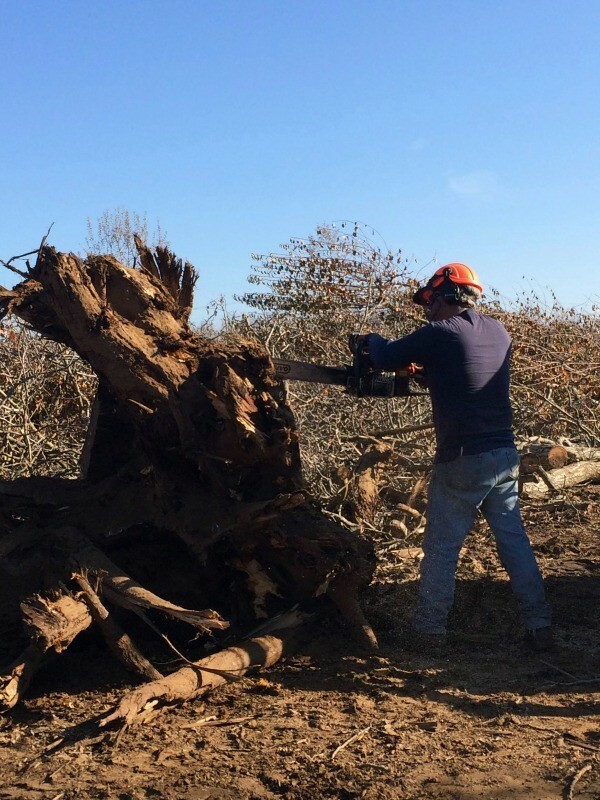 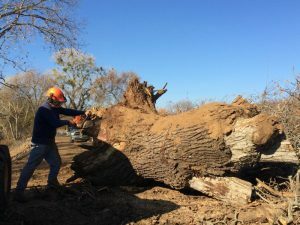 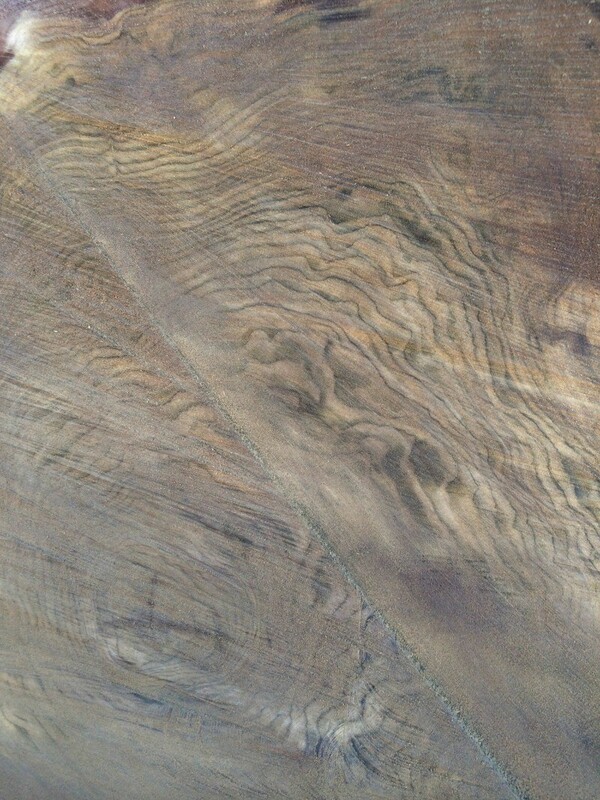 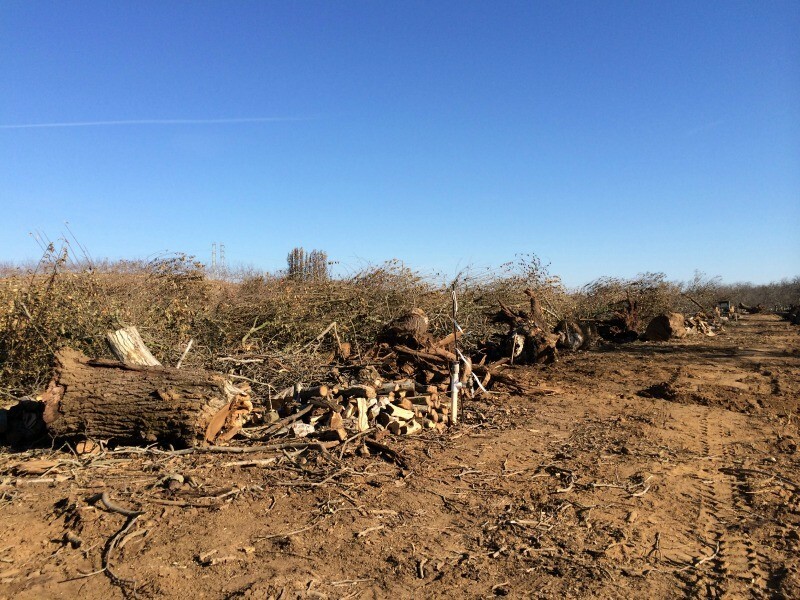 We received a phone call from a firewood cutter who said he was working with a farmer who just removed a large block of large grafted Black/English walnut orchard trees. We drove over and saw that there were quite a few large trees that would make awesome wood slabs and lumber. 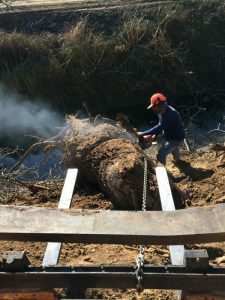 The firewood cutter let us do the job as opposed to him cutting them into firewood. We ended up harvesting 2 semi loads of usable grafted Black/English walnut orchard logs.